Coleman and I received an early Christmas present yesterday....a beautiful picture of our healthy BABY "Sweetpea"! We had our first prenatal appointment yesterday, and everything went great! 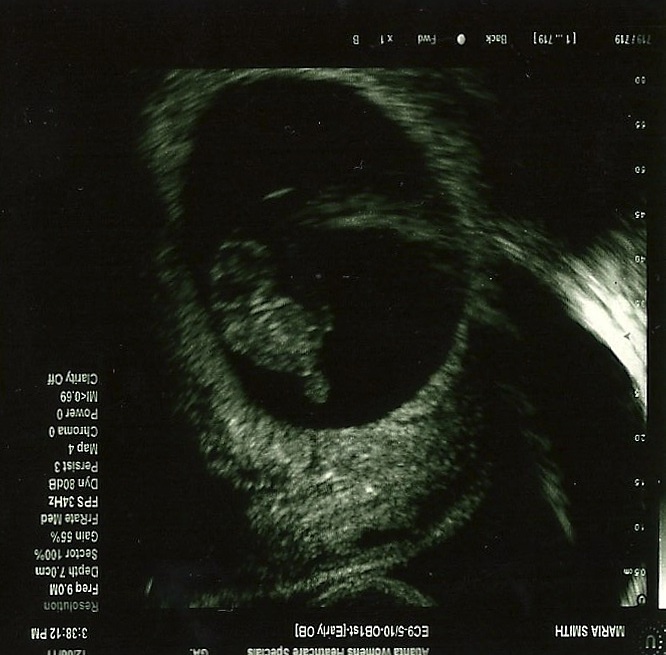 Sweetpea is measuring 1 day ahead of what we thought and has a very healthy heartbeat, about 160 bpm. Seeing the baby on the ultrasound really made this whole experience come to life, and I know Cole and I both have already fallen in love with this baby! We are both so excited and relieved to know that everything looks good so far! We have our next appointment in 4 weeks and will be having another ultrasound, so I will have more pictures of Sweetpea to share with you. Please visit our family blog for all things related to our baby, pregnancy and growing family. 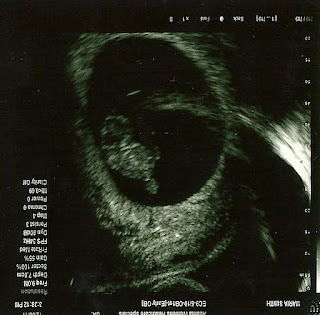 Here you will find ultrasound pictures of Sweetpea, baby and pregnancy updates, baby bump pictures and eventually, pictures of our actual baby!